Russian Woman vs. USA Army — American army soldiers vs. a Russian woman. USA and Russia were competing throughout the 20th century. Russia has lost the Cold war but nostalgia both in USA and Russia for the former standoff is still there. 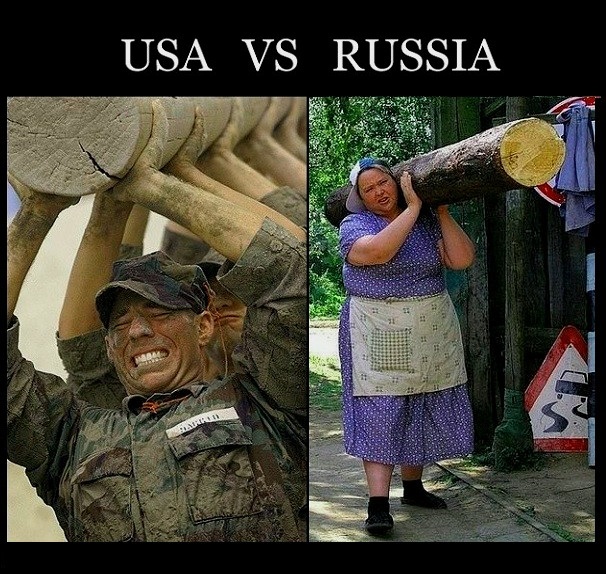 This picture is a clear example, showing a strong Russian woman overtaking American soldiers carrying wood.